Want a low-maintenance yard? Cut your garden costs and conserve water with these creative ideas, visuals included. There are very few things I enjoy more than my garden, but one thing that I do not enjoy too much is the need to spend quite a bit of money, time or effort in maintaining it to keep it in tip-top shape, nor am I thrilled about being unable to help towards better water conservation. We can definitely do better. If I had realized this way back when my yard was undeveloped turf, I may have redone it differently and would’ve argued more vocally with my landscape designer friends who had helped me work the garden plan out. But five years ago, I didn’t have the same knowledge base and awareness of what it meant to support an organic yard and so I went along with garden designs that emphasized aesthetics over practicality. 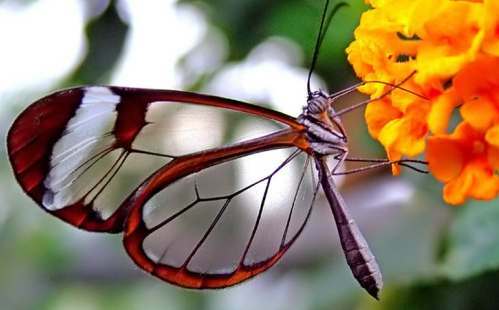 I was one of those who fell for the promises of a dream garden, without realizing how much the upkeep would really be to achieve and maintain that dreamy appearance. I may be paying the price somewhat right now, especially during record high heat waves in Silicon Valley, California. I don’t particularly look forward to the possibility of an ugly drought cycle which we haven’t had in a while. So I can only caution people to learn from the error of my past decisions. Although I must say that I am prouder than ever of my well-toiled garden, it certainly counts as one of the biggest money sucking pits in our budget. Extras like fertilizing, aerating the lawn, regular mulching, etc. #1 Pave your yard over. your costs to make this happen can definitely add up. 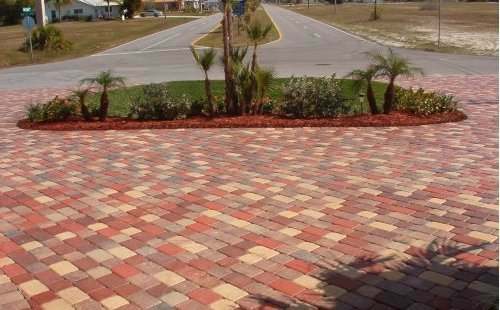 In our neck of the woods, if you’re hiring a top-notch landscaping company to pave a 2,000 square foot yard, labor and paver stones can add up to tens of thousands of dollars. It is ridiculous, but that is the quoted price over here. The only way to feel better about this is to think of it as an “investment” in curb appeal and added functionality to your property. Although if you think about it hard enough, you’ll probably make up the money back from savings you get from not having to water, seed, fertilize and replant the same area for years to come. #2 Use drought-resistant and / or native plants. So you want to have a nice flowering yard anyway. But try transposing an English garden to a quasi-desert-like setting. Or try planting exotic beauties on landfill. Doing all this will only yield you money mistakes galore, since you’ll be fighting a losing battle against nature. To make nature work for you instead of against you, why not opt for drought-resistant plants? 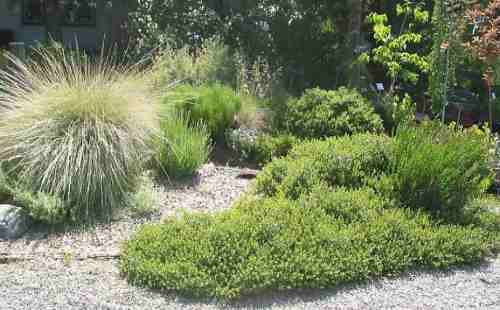 Or go with the natural flow of things and design your yard with native plants that suit your micro-climate. Some research on low-maintenance flora for your particular geographic region will go a long way. Aren’t these gardens lovely? #3 Install plants that can do double duty. If you’re intent on having plants on your yard, like I am, why not consider planting fruit trees or putting together a vegetable garden? This way, any plants you maintain will serve a purpose beyond simply appealing to your eyes. Having your own edible garden is definitely a frugal option that many people have opted to have. And if you’re looking to be even more practical, you may also consider reserving a small area in your yard for composting. By doing so, you’ll get top marks for self-sufficiency and environment conservation with your ability to create fertilizer for your own yard and to assist with recycling efforts. #4 Create an alternative garden. You can always go zen or minimalist and settle on a rock garden. Or you can invest in some outdoor decor. Some yard fillers that can work out, depending on your taste: gnomes, flamingos, cherubs, animals, spiritual deities, rustic sculptures, empty vessels, colored balls and geometric objects. 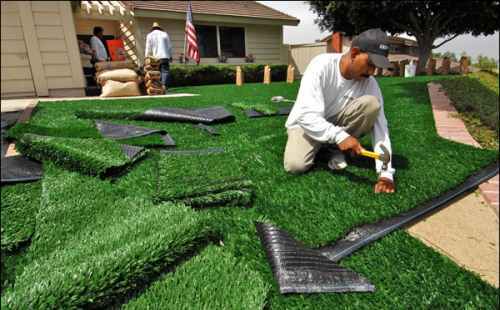 #5 Install astro turf on your yard. If you pick up a home improvement catalog, you can bet that there’ll be ads there that will tell you how you can turn your lawn into a veritable putting green, without the long-term maintenance. We’re talking about those ads that show you perfect grass without the pain of having to water, mow, weed, aerate, sod or reseed your lawn ever again. 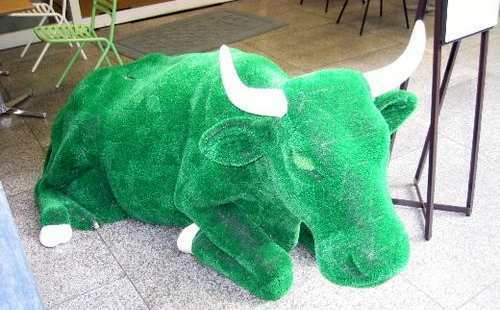 So to capture the look of a green yard these days, you can substitute fake grass for your lawn. Apparently, fake grass these days looks and feels way better than it used to. The downside? It can be expensive, if you let someone else do it for you. The average cost to have a synthetic lawn installed is about $7 a square foot. Buying from a supplier such as Artificial Grass Direct costs $3 a square foot. The Sweeneys did have to spend another $350 for the rest of the supplies. Then, to save even more money, they took advantage of the rebate program the Water Authority is running. “I took out all the grass so I get a dollar back per square foot from the Water District,” explains Shannon. The bottom line is it will definitely save you money, but there’s a lot of sweat to put into it. Before you even consider a job like this, you should have a list of good friends with good backs signed on to help you. #6 Don’t buy a house with a live garden. I’ve got several friends who didn’t want the hassle of a planted yard. So they didn’t buy homes with gardens. That’s what condominium units and town homes are for — to have someone else be responsible for the maintenance of your communal garden or yard (or other amenities) for which you pay an association fee. Or you can always buy a house that’s been paved from top to bottom, just as one very close friend of ours did. Sometimes, I’ve wondered what our friend has against plants, because whatever greenery he had left on his property, he chopped up and buried under concrete. He’s always traveling, so that could explain it. Okay, I don’t really recommend it, but I’ve seen people go this route anyway. They’ve decided to just give up on their yard and let it go to pot (pun intended). Result: ugly yard. Very ugly yard. With very tall weeds and brown, dead, matted things all over the place. At the very least, pull the old stuff out and put some gravel on it. But it’ll still be ugly. If you can afford it, go see Suggestion #1 and pave your entire yard. For those of you who are ready to fork out the money and energy to redo your yard or landscape, just be careful what you wish for. You’ll probably get what you pay for! My best recommendations before you start your project is to read up on gardens, ensure a solid design, visualize what you’ll have in the end and how much you’re prepared to pay for the enjoyment of your outdoor environment. 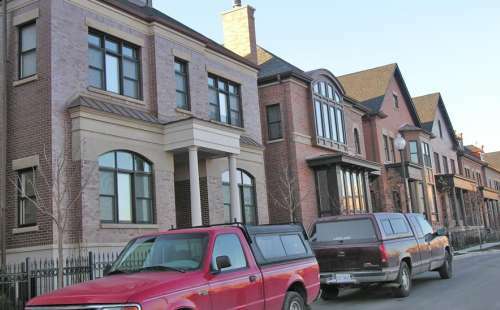 Re: #1, there are sometimes ordinances that dictate how much of your property can be paved/covered in buildings. I know my dad ran into that when he was deciding what size to make his garage in MN. I like the artificial turf idea – I could sell my lawn mower to offset some of the costs! I wonder if it fades over time, or always maintains its brilliant green color. I guess we could always spray paint it if it started getting dull. Thanks for the ideas – very timely as our local area is heading into another period of drought where we will have little rain and water ordinances that make outdoor watering illegal. Your post definitely made me laugh. #1 looks good for the front yard, not sure about the backyard. I know a neighbor of mine just went the rock route. Not sure if that is my cup of tea but she doesn’t have any yard work now. I am a big fan of #7 and #5. How often do people pull out the turf there? I know someone who used fake grass instead of wood chips to cover the area below their kids’ play structure. Very nice stuff. AFAIK, it doesn’t fade. For the money, I’d expect it to have a long enough lifetime…. Something to inquire about before installing it. Glad you LOL’d even just a little. Not sure about your question — if it’s to do with how long the turf lasts, I’m not really sure; though I’d ask the manufacturers or sources of the material that very question. Ugh. Great timing for this post I suppose! California governor declares drought, orders water sent to worst areas. Few things have made me happier than replacing the dratted grass with crushed granite (NOT gravel!) and a lush xeriscapic garden. It wasn’t cheap, but when you add up the money you throw on the ground in the form of water, fertilizer, iron, weed killer, pearl mite killer, new seeds, more pearl mite killer, more new seeds (repeat ad naus.) and then the money you throw at the lawn guy every week or two, it pays for itself in about 18 months. And in terms of freedom from hassle, the payback comes in about a day and a half. We have a small lawn and we pay someone to mow the grass monthly. I am not sure if I would ever look at cutting this cost off by following some of the ideas above. The best I would do, would be to follow Suggestion 3 (my daughter has started her version of the sq. ft garden) or mow the lawn myself. If you live in the southwest, you certainly don’t want to pave over your yard. Geez, you’d be generating more heat. How about plant a big tree? I agree — you’ll need to follow those suggestions that apply best to your local area. If you live in the desert, you gotta do something else — including making sure your pool has water. I like the big tree idea too. Great for insulation. There should be no yards left untouched considering how simple some of the other ideas that you have mentioned are to do. I like the natural look. I’m not quite ready to give up on the traditional garden. For fence-sitters like me, I’d recommend investing in hardy perennials. There are quite a few flowering plants that, once established for a year or two, can be highly drought resistant. Anything’s better than annuals that have to be replaced every single year! Hmmmm.. Not sure how I feel about the astro turf. Wouldn’t that make the yard/house a lot hotter since there would be no evaporation? I guess that could mean you’d run your AC more perhaps offsetting the water savings with higher energy consumption. Just a thought. I think the best idea on the post is to add trees. 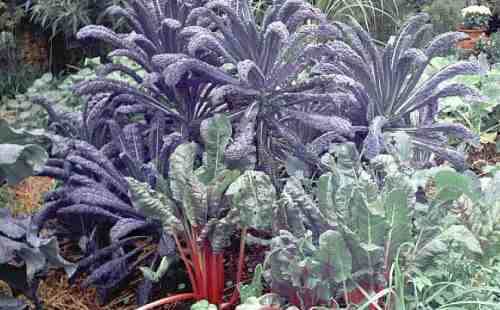 They can get at water much lower in the soil and provide shade for the house, yard, and people. I think everyone should be conscious of their usage, but to say that everyone needs to do something might be a little overboard. For instance, a family with 4 small kids might want a yard for the kids to play in and that’s cool. 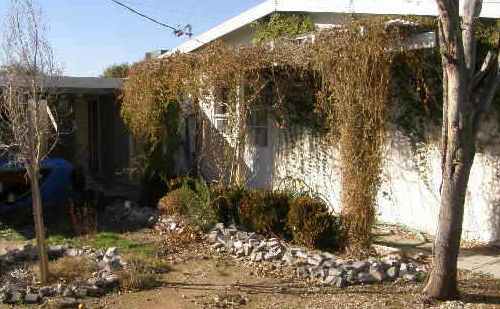 It was a struggle to justify having a “real” lawn while living in the desert….the water bills were outrageous, the maintenance fees were too much, and the time it took to upkeep the lawn was not worth it. Converting the yard to an artificial lawn was the best move I ever made. Great share. In my house (I live in a tropical country), I’ve planted a mango tree. It has done great job to shade our house especially during noon. It produces fruits too which I am happy with. Ah, and since my yard is small, I would just skip suggestion no 1. The other thing, I also plant several flowers with pots and below them is gravel. This is just to fill up empty space, but I’m satisfied with the result. Big fan of #7. Very “modern art”. I love greenery and want my lawn always look green but i have not so much time to maintain my lawn green. So I’ll go with #5 option that is artificial turf as it fulfills my desire and also no further maintenance required. I’ve always joked around about tearing up the yard and throwing in some astro-turf. It hadn’t occurred to me that this was a legitimate practice! I do not agree with your first idea. Paving over your yard is not a good idea in my books. You are increasing the thermal density of your yard (the earth gets real hot) and also creating preventing the permeation of water back to the stores underground. Where I live you would not be able to do this unless paved with a permeable paving system. I LOVE the idea of planting native plants though, less watering and they thrive in your conditions. Why not use them? Clover is a good alternative to your typical blade grass and thrives in my zone. Wow. I live in New Jersey and I had no idea California had such problems with drought. I was surprised by the idea of installing astro turf, but it certainly looks better than dead grass or the last photo of a house that just let things go to pot. You had some really good suggestions. Wishing you a bountiful rainfall this year! I like the idea of having someone else do your yard work for you. I am for sure going to do turf at our next house to save me time and energy from worrying about how the lawn looks. Forgot to mention the use of decorative landscape rock. 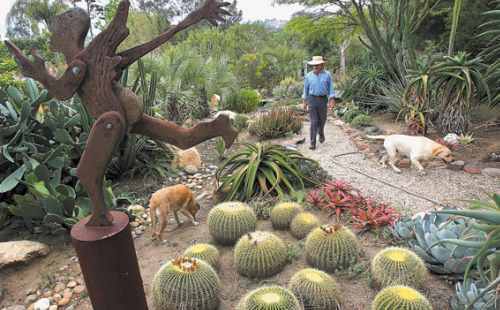 Seems the idea of creating dry stream beds, or simply covering areas with rock ground cover, is really growing in popularity out here in San Diego. Add in some drought tolerant plants and you have a SUPER low-maintenance yard design. There are many alternatives that you can use to make sure that you will not be spending much just to have proper maintenance in your yard. Following those tips that were mentioned above can really help you. Thanks for the interesting points, although I’m not quite sure how changing your personal landscape would make such a difference overall to the planet.